Please ask questions about our hovercraft, prices or a unique application. See an error on our site? Drop us a note. If you don’t get a reply soon, please try again, the internet is not perfect. 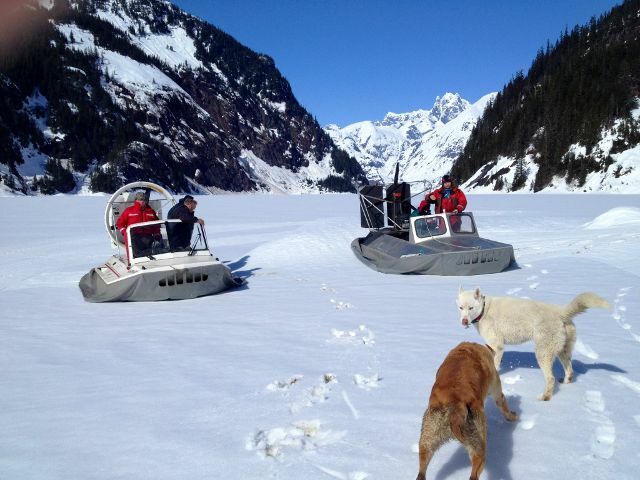 Two Vanguard craft explorer the frozen river up to the Shakes Glacier near Wragell Alaska.